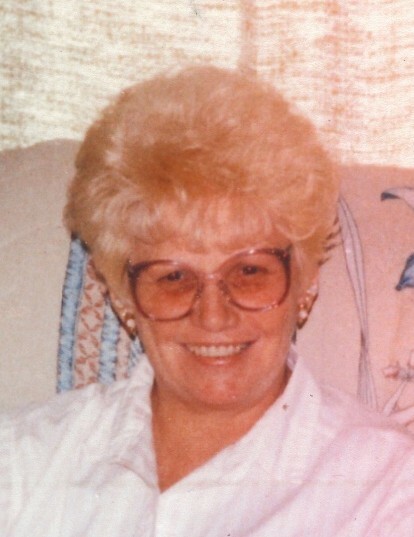 Annie Annette "Blondie" Lee Sweares, 75, Peru, passed away at 1:10 p.m. on Friday, February 1, 2019, at Community Howard Regional Health, Kokomo. Born April 14, 1943, in Crestview, Florida, she was the daughter of Melvin Lee and Annie Delma Garrett Hallford. She had a love for bingo and spent many nights calling numbers at the Literary Aid Society. When she wasn't calling numbers she was playing at the Knights of Columbus or at Miami Indian's Bingo. Earning her the nickname "Blondie the Bingo Queen." She also loved to play cards with the family. She was one of those people who could make anyone smile and everyone that knew her, loved her. She had a carefree spirit that lives on in her memory. She cussed like a sailor, danced like nobody was watching and was never afraid to speak her mind. She will be greatly missed by her family and friends. Survivors include four daughters: Lisa (Randy) Hensley, Kokomo; Lucinda Brundage, Peru; Brenda Barnard, Kokomo; and Sherry (Joseph) Cunningham, Peru; son, Kenneth (Brandy) Sweares, Peru; grandchildren: Brandon, Ashley (Robie), Billy (Audrey), Annie (Tony), Jamie (Brittney), Tiffane (Mathew), Krystal, Anthony, Aleesha (Cedric), Henry, Chantele (Jerry), and Daniel; great-grandchildren: Jarrette, Trella, Brandon Jr, Jadon, Dakoda, Andrew, Gavyn, Bradly, Janna, Jeannette, Zaylin, Allison, Jackson, Marlayna, Brason, Avriel, Adelyn, DeVaughn, A'nya, Aleeya, Jaida, and Kamila; two brothers; and three sisters. She was preceded in death by one daughter, Christina J. Sweares; one grandson, Jason Hughes; and one brother, Wilson Burrell Hallford. Funeral services will be held at 12:00 p.m. on Thursday, February 7, 2019, at Mt. Hope Cemetery Chapel, Peru. Visitation will be one hour prior to the service at the cemetery. McClain Funeral Home, Denver, Indiana, has been entrusted with the arrangements. The online guestbook can be signed at www.mcclainfh.com.